Blame it on my northern bias, but I cannot think of a single food in the orchid family beyond vanilla (Vanilla spp.). For the largest plant family (or second largest; depending on who you ask, Asteraceae may be the largest plant family), there is a real dearth of edible species in the Orchidaceae family. We had the pleasure to visit a sustainable, diverse, organic farm down in Belize last year – our friends there grew cacao, mahogany, teak, oranges, and other tropical goodies. 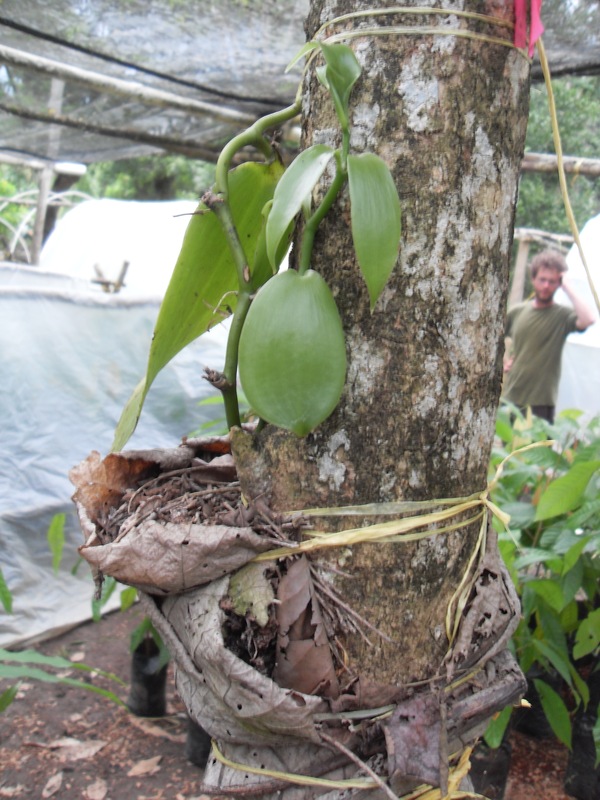 One thing they were experimenting with was growing vanilla. 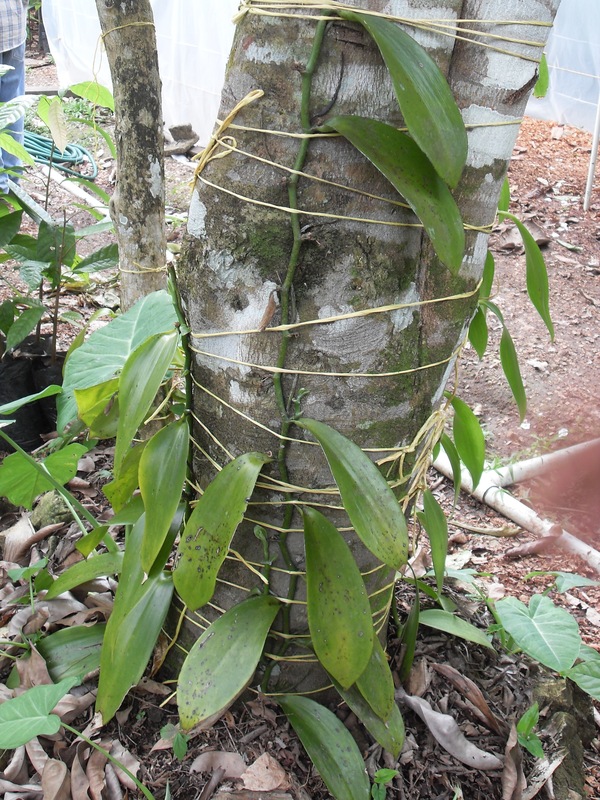 It was trained up a tree, and sometimes “planted” midway up the tree in a little pocket of mulch. 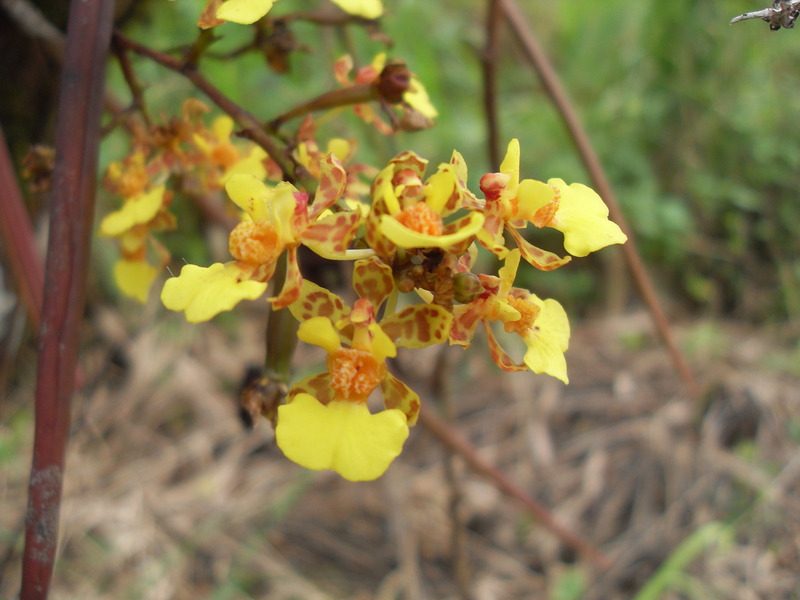 During our visit with these folks, we got stuck for two hours in a mud pit in the orange grove, where I saw this beauty, a yet to be identified (by me) orchid, growing off the trunk of an orange tree. This entry was posted in Botany, Plant Photography on February 8, 2013 by Selena Rowan. How could it be that this flower so closely resembles an elephant? What sort of cosmic genetic shuffling must of taken place? There is a precedent where orchids will mimic their highly specialized pollinator, recreating an image of their mate with petals, stamens, pistils… but there is motive there, and direct relationship. What does this Sierra Nevada native have to do with a mammal from another continent? Were there wooly mammoths in the Sierras? Did they pollinate this flower? Big questions. Pedicularis groenlandica, aptly named Elephant’s Head. I have never seen this plant in any abundance, and thus have never harvested it. 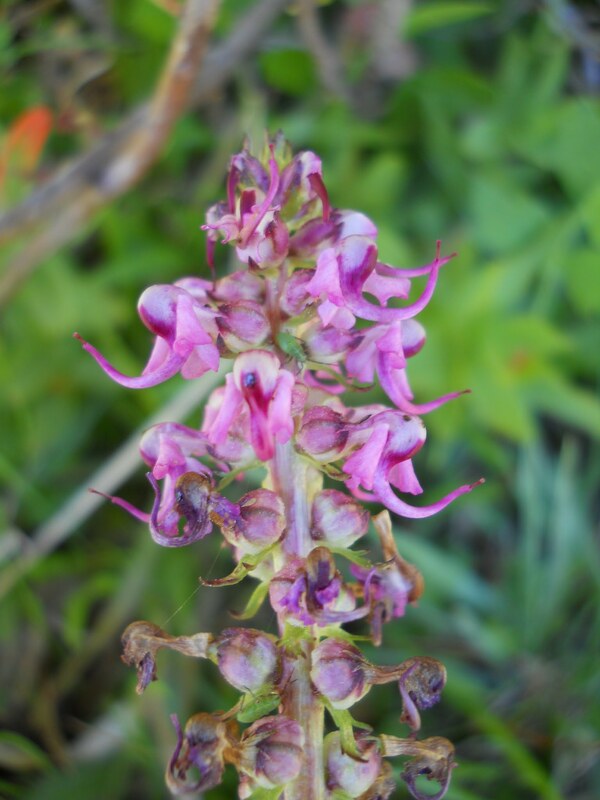 I do use its more prolific and more neighborly cousin, Pedicularis densiflora (Indian Warrior), as an incredible skeletal muscle relaxant and general nervine. All the plants in this genus are semi-parasitic, meaning that they will partially rely on another plant for sustenance. This entry was posted in Botany, Plant Photography on January 21, 2013 by Selena Rowan. I saw these blooming today – a lovely, very abundant parasympathomimetic and smooth muscle relaxant – Garrya elliptica, aka Coast Silk Tassel. 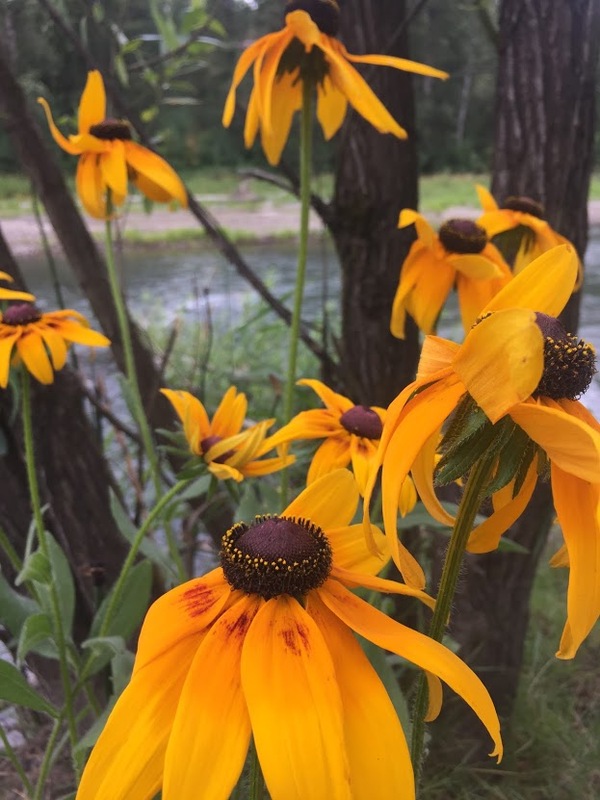 This plant is dioecious – meaning that some plants have only male flowers (pollen producing), and the others have only female flowers (seed producing). 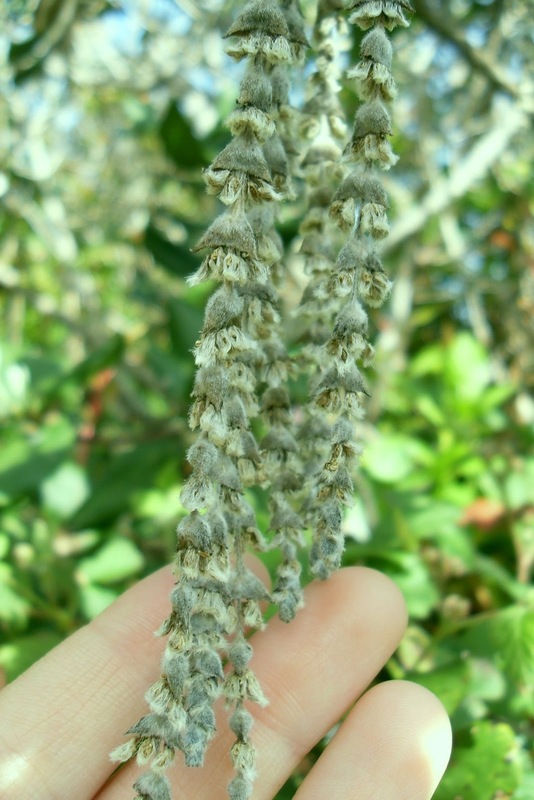 The flowers are borne on an inflorescence named a catkin, meaning it hangs down like tassels. This one is a male – you can tell by the yellow anthers. This entry was posted in Botany, Plant Photography on January 20, 2013 by Selena Rowan. This entry was posted in Plant Photography on September 12, 2011 by Selena Rowan.